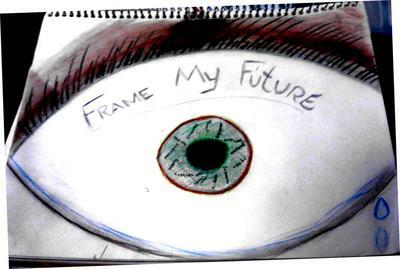 Keep your eyes open and your focus on the future to be and commit a positive image to others. Working in a low-income area after graduation for x amount of years could help you say "there goes my loans". After doing plenty of research in order to help my mom save money and for me to keep money I looked into ways on how investment into college can pay me. Depending on what major that you may have and what kind of school that you attend could make a huge difference in your future. Usually majors that involve working with people and technology are boosters in which will help pay back later. For me education was my first decision because I had to be in school for 5 years to make sure that I was a great teacher in transit my job would have offered to pay me to take other educational courses and helped reduce my government loans. Student Loan forgiveness programs and job opportunities are the best options to reduce loans. What a joy! Keeping your grades up could help in the long run. Most college/high schools love to see students succeed. They try their best to compensate students and reward them to continue to make great grades, be responsible for their own actions as well as do service within the community. They do this to attract more students in order to boost their school's status of being the best/greatest. When schools have great students they pay their students to be there and to be great and to encourage others to do the same. When being a student remember to prepare ahead so that college can pay you for being a great student which would help raise your scholarship funding as well as your school status. It's a win-win situation. Thank you Jirmiah for sharing tips on student loans. I agree that being a great student will help you get more scholarships to reduce the need for student loans. Good luck to you. Debt. That thing that hangs over your shoulder every time you buy the groceries for the month, every time you celebrate an achievement with drinks, dinner, or dancing--any time you do anything that isn't free, really. And the thing is, many of us are too proud to admit that our debt is simply too much for us. We don't have the money, we don't have the time, we don't have the job. So, what must we do to tackle this prideful monster inside all of us? Many of you won't like the answer; I certainly don't. But here's the thing, you proud people: you simply cannot pay off your debt along with all of your other living expenses. So, move home! Move home with your parents; remember them? Those ones that sent you off with tearful eyes and hopeful words? Those ones that will, most of the time, accept you back with open arms? Move back there. Chances are, they are going to give you a tad more freedom now that you're legally an adult. Just make sure you demonstrate the amount of maturity (no matter how little) that you have gained in your years of learning. In other words, pick up after yourself. Contribute to the cooking and cleaning; maybe even pay a little bit of the rent or house payment. Don't worry, a small contribution won't stop you from paying off your college debt. It will simply show your parents that the money, time and effort were well spent on your college experience. Demonstrate that your years away have made you humble enough to realize your inability to live on your own just yet. Because lets face it: most students out of college aren't ready. And many of them, though they may be ready, could still benefit from a few more years with the people who taught them almost everything they know. And yes, college will teach you many things. But one thing you must learn on your own is when to be prideful and when to be humble. And if you, like so many others, have gotten yourself under a mountain of debt, it is time to be humble my friend. Go home, where rent and utilities are often paid for, where food is cheap and love is cheaper. Trust me, your loan will be paid off much faster. Thank you Caitlin for sharing a great way to pay off student loan debt. “There’s no place like home” is so true. Most parents will enjoy seeing their child as a mature young adult, making good financial choices and paying down that student loan debt. Good luck to you. Hello, my name is Brandon and I am a senior in high school. Both of my parents have attended college and each has accumulated debt, which they have long since paid off. My older brother attended college as well for two years, but sadly, became a statistic much like nearly half of all college kids and dropped out, leaving my parents with nearly $40,000 more debt. At times, this has stressed my parents to the breaking point. So my tip would be to pay off your own debts and not rely on family. If you go to college and take out a loan to do so, that is YOUR loan no matter who cosigns. You are making an agreement to pay back the money you were loaned and should have the dignity to do so. Putting the debt on your parents’ shoulders only creates tension in the family, pushing everyone farther apart. Maintain some self-dignity and pay off your loans; your parents really have already done enough for you. If you are not able to pay, give the money back! Don’t spend it on frivolous items much as my brother did. Several nonessentials that he wasted money on include: Vacations to Mexico, a new TV, and the purchase of two cars. This created more tension than the money itself, my brother had lied to my parents in saying he was using it for college. He told them he had a job, which they later found out was nonexistent. Personally, I am surprised at how resilient my parents have been and maintained a love for him as their son, despite the countless mistakes he’s made and the debt he’s left them with. The actions of my brother have made me swear to myself that I will pay off every ounce of debt that I accumulate in college to leave my parents burden free. I greatly wish this had been my brother’s intentions as well. I have felt the tension that has been created in the household that exists to this very day. However, our family will overcome this, and will always love my brother unconditionally. Thank you for your time. Thank you Brandon for sharing your family lessons in paying off student loans. Yes I agree that the parents should not be left with all the debt for college. It sounds like you will make better choices. Good luck to you in college. knowing your career before having to pay back a un-needed loan. In life people change their minds about what kind of career they want to have when they grow up. There are so many different reasons why people go to college rather its because they want to, their feeling pressured by their family, or they feel its what they need to do to be able to provide a better life for themselves and their family. In my case I went back to school un-sure of the career I wanted to pursue and ended up getting a student loan that I now have to pay back and I’m not even working in the field that I graduated school for. Now I finally know the career I want to be involved in and do not have the money to go and fulfill my dreams because of the rush and unsatisfied money I have spent already on a career that I know I do not want to be apart of. One of the biggest lessons I have learned and I hope to teach others who are thinking about going to college is to make sure you do your research on your program of interest to make sure the job outlook is high in demand and make sure its a career you really want to do for the rest of your life. Don’t make the same mistake I made by going into a career program that I had no clue what the responsibilities were and aspects of the job from not doing my research. Now stuck with a loan on education that went to waste, I don’t want anyone to make the same mistake that I made. Read more tips on Paying Off Student Loan Debt from other students and parents who have been through the student loan process. Thank you Elizabeth for sharing your hard learned lesson about student loans. It is so hard to know what to major in and choose a career, and going into debt for something you aren’t interested in is difficult. Good luck to you in your future career.